Energy either in the form of thermal or electricity is an essential ingredient of any industry. The focus in the last decade has been towards reducing the energy cost. This has resulted in evolving of different technologies. Indian Institute of Science, Bangalore has carried out pioneering work in the field of harnessing energy from biomass. Usage of non-conventional energy helps in substantial savings in energy cost as well as has a positive impact on environment. 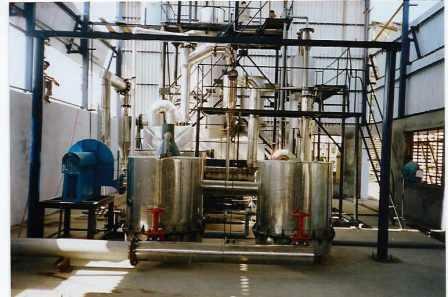 BETEL manufactures biomass gasifiers in various ranges using a wide range of agro residues, based on the technology developed from Indian Institute of Science, Bangalore. Thrust area of BETEL is to provide clients with alternate source of energy uninterruptedly. Thermal systems having more than 90% efficiency has been the area of concentration in view of lower investment cost and faster payback period. Equipment usage has exceeded 50,000 hours with uptime in excess of 95%.